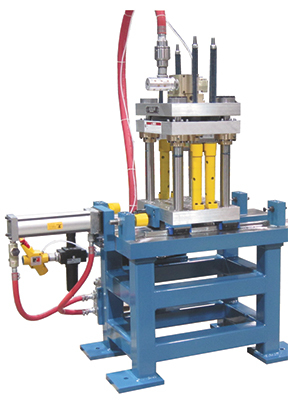 Airam Press Co. Ltd., Covington, OH, has developed a pneumatic flying cutoff press with a servo drive that provides the flexibility to perform stamping and rollforming operations, as well as extrusion applications. Use the press to stamp, punch, cut or pierce, as part of a stamping work cell or as the anchor of a rollforming line. See also: Airam Press Co. Ltd.